The Rock Art Mobile Project (RAMP) was undertaken by the International Centre for Cultural and Heritage Studies, at Newcastle University in 2010/11. It was funded by the Arts and Humanities Research Council (AHRC) and Newcastle University. My role on the project was as researcher working in an interdisciplinary team with archaeologists, cultural heritage experts and digital media specialists. 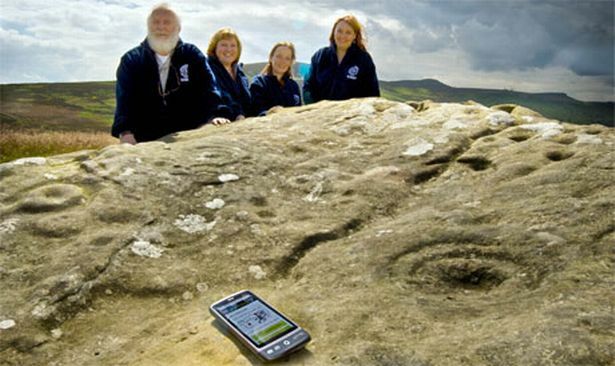 RAMP used mobile technology to deliver archaeological content to Ancient Scheduled Monuments (Rock Art) in three main sites in rural Northumberland. The project adopted a participatory design approach, my role included organising and leading a series of participatory workshops with a range of local participants & stakeholders. After analysis the results fed into the design requirements and I subsequently generated a conceptual design. Prototyped and tested the initial design with another set of participatory design workshops, which led to the development of a set of comprehensive mobile websites that incorporated benefits of HTML5 (such as online storage) along with the more widespread XHTML to deliver interactive content across a range of mobile devices.